New Delhi [India], Jan 9 (ANI): Spain's Foreign Minister Josep Borrell said that no European nation is "capable" of responding to the rise of multipolarity and a new world order with the emergence of "economic giants" like India, China, and Brazil. New Delhi [India], Oct 10 (ANI): Legendary actor Dilip Kumar, who was recently admitted to Lilavati Hospital for pneumonia, is responding well to his treatment. New Delhi [India], June 12 (ANI): Former prime minister Atal Bihari Vajpayee's medical condition is stable and he is responding well to the treatment, All India Institutes of Medical Sciences (AIIMS) confirmed on Tuesday. New Delhi [India], Jun 12 (ANI): Former Prime Minister Atal Bihari Vajpayee's condition is stable and is responding well to the treatment, the All India Institute of Medical Sciences (AIIMS) said on Tuesday. New Delhi [India], Mar 24 (ANI): Union Minister Suresh Prabhu on Saturday said Goa Chief Minister Manohar Parikkar, who is undergoing medical treatment in US, is responding well to it. 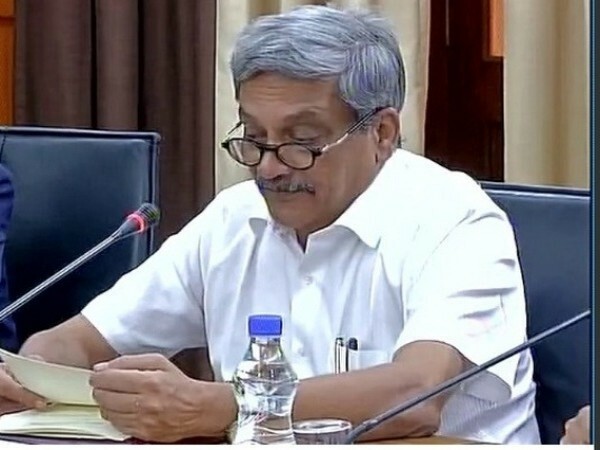 Panaji (Goa) [India], Mar 21 (ANI): Further treatment on Goa Chief Minister Manohar Parrikar has begun and he is responding well, said Parrikar's Personel Secretary (PS) Rupesh Kamat. Kabul [Afghanistan], Mar 12 (ANI): Afghanistan's Chief Executive Officer Abdullah Abdullah on Monday expressed his disappointment over Taliban militant group not responding to Kabul peace offer. Mumbai [India], Feb 18 (ANI): Mumbai's Lilavati Hospital, where Goa Chief Minister Manohar Parrikar is being treated for pancreatitis, on Sunday denied reports that the former Defence Minister is suffering from Cancer. New Delhi [India], September 11 (ANI): The Direct Tax collections, up to this year August, continued to register steady growth, said Finance Ministry in a statement on Monday. Islamabad [Pakistan], Aug.7 (ANI): India and Afghanistan should and must respond positively to Pakistan's peace moves and not mistake Islamabad's desire for peace and good relations with its neighbours as its weakness, said Foreign Minister Khawaja Muhammad Asif.